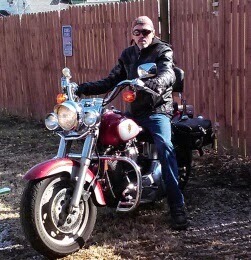 Would you believe my husband got out his motorcycle yesterday and took a ride? In February! Our temps were close to 60 degrees, which is pretty warm for this time of year. I'm so glad he got to take the bike out because he has a long dry spell between Fall and Spring when he can start riding again.